Hotspot Shield is a small utility which is able to change your IP address by routing your connection through a proxy server, usually an IP address from United States. So, if you are in another country and you have restrictions to access different sites based on country, changing your IP to an US IP address will solve your problem. Also, you can use this program to improve your privacy settings if you don't want that others (third-party servers or websites) to know your real IP address and location. The application is easy to use and you have only a few options: turn it on or off. 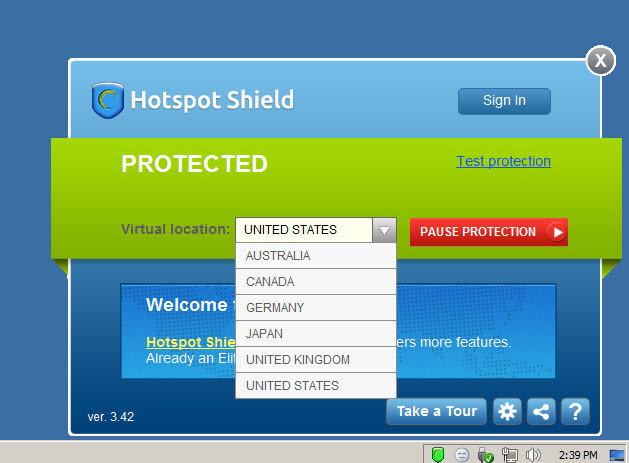 Once you turn on Hotspot Shield, you will notice that your IP address is changed to another one. Another benefit is that the program will encrypt your internet traffic through HTTPS protocol. All the information that you send is encrypted (is not plain text), so a hacker cannot read your personal data if will capture it with a sniffer or a malware program. Hotspot Shield works also with WiFi connections, so you can enhance your privacy while you are travelling. 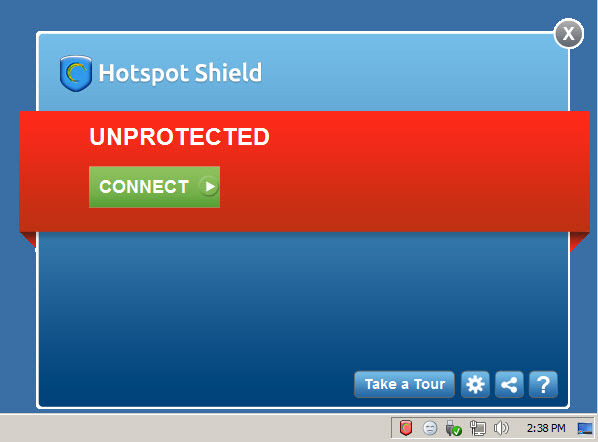 Hotspot Shield is available as free download for Windows 32-bit and 64-bit.